I think the thing that made me the most nervous during my last semester of high school was when everyone would ask each other why they chose the college they did (if they chose one) because 9 times out of 10, the answer would be “It just felt so right”! But my answer didn’t quite align with that one. Did that mean I was doing something wrong? Apparently not! Because here I am, three years later, at the same school I chose and loving it more than ever. Here is my story! Throughout high school I was surrounded with amazingly ambitious people, lots of whom were striving for specific colleges after they graduated. I, however, have always been an “I’ll get there when I get there” type of gal. When the time came around that I “gotten there” and had to start thinking about college possibilities, I had fallen in love with Point Loma Nazarene University (PLNU) in San Diego. A handful of my good friends had chosen PLNU, and I had gotten familiar with the campus through frequent visits to my pals. I’m a huge fan of warm weather, love the area, and had already made friends at the school. It all made sense! That had to be the place. Ignorance truly is bliss. As application season went on, I applied to about 10 other schools just for fun (honestly, because common app made it that easy) and my race to get to Point Loma came to a slow halt. My parents gave me a reality check and I realized that it was the most expensive school I applied to, and the only school that I did not get any scholarships to. In short, we could not afford to send me there. Of the 12 ish schools I applied to which included universities in Hawaii, the Pacific NorthWest and California, I decided I wanted to stay in California. My parents then gave me two options. I could either go to a junior college and then transfer to PLNU...or, I could pick one of the California schools I applied to and commute to save money. I remember this season being so heartbreaking for me-- I felt like I was watching a dream crumble into pieces. I felt lost and really scared. One night, Biola emailed me and said that that night was my last chance to apply and have my fee get waived. I think I had about an hour left until the offer ended. I remember quickly typing away so that I could get in my application for free. Because, why not? I sent in my application and a few days later got my acceptance letter. At this point, I decided I wanted to try commuting to one of the California schools I applied to instead of going to a JC. It came down to Azusa Pacific University (APU) and Biola University. Here is where my answer to the “Why did you choose your college?” question is a little different than most. I took a tour of both Biola and APU. After I finished both, I chose Biola because I liked the campus better. That was it! I think my official words were, “Well, I guess I’m choosing Biola”! It wasn’t a big revelation. There were no fireworks in the sky when I stood before the Jesus mural in the middle of campus. I didn’t really feel any special connection.But let me be the living proof that it is okay to not feel those things. I honestly just liked the campus a little bit better. I think God has a sense of humor. Because here I am, thriving at a school that didn’t immediately feel like home. In fact, growing up in private Christian education for all my life, I remember specifically telling people that I would never go to Biola. This has been one of many lessons where I’ve learned that I am actually not that in control of my future plans. It took adjusting, truly--probably the entirety of my first semester, until I finally found my groove. And while commuter life was definitely not a piece of cake, but time and time again the Lord has been so affirming to the fact that this is where He wants me. So, fellow prospective friends--this is my encouragement to you! College decision season is full of many emotions. Know that your feelings are valid even if what you’re feeling isn’t the norm that everyone else is feeling. Not everyone gets that feeling when they choose their college. That is okay. But also, maybe you will get that feeling! That is awesome! Wherever you find yourself, I would love to hear your heart. 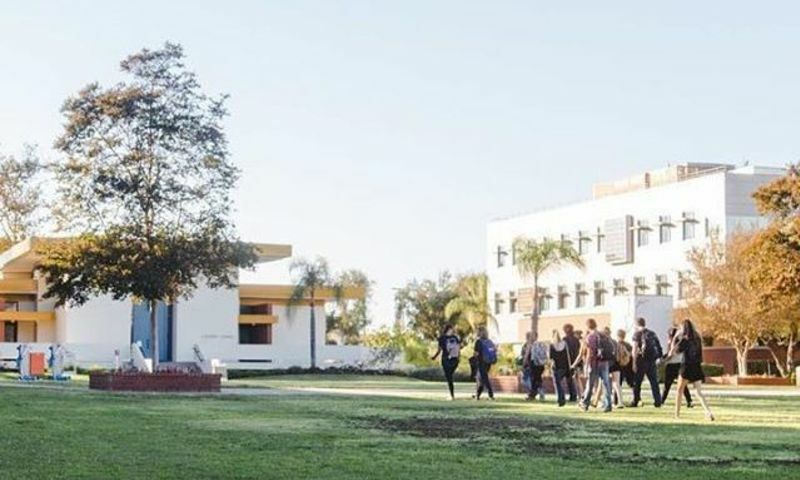 Keep in touch with us on the Biola Admissions instagram, and feel free to say hi at 1-800-OK-BIOLA! A shameless plug, I know!! But I really am passionate about hearing from you.